The Aqua Medic Reef Construct is a two-part epoxy putty to secure rock and hard and soft corals within the aquarium. It solves many of the problems encountered during the aqua-scaping of fresh and salt water aquariums. With Reef Construct, rock formations can be safely built, invertebrates with inadequate base pads can be anchored, and hard coral cuttings can be secured. 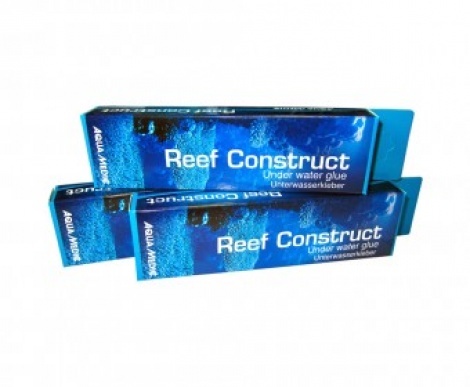 Reef Construct is a fast curing, two-part epoxy putty that can even be used underwater. It adheres to rock, wood, metal, glass, plastic, concrete and most other materials.